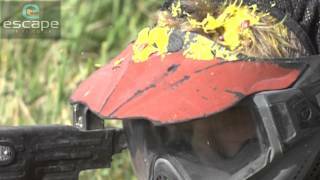 Paintballing is a great activity to do during your Nottingham Hen weekend. You will be provided with camouflaged overalls, protective head gear and semi-automatic paintball guns and will be running about the woods splatting people with paintballs. Your group will be split into two teams and you will play against each other in a variety of scenarios. You will take turns at attacking or defending a position or you could be involved in a skirmish to retrieve an object from the centre of the battlefield. Games last between 10-20 minutes and you will be provided with 100 paintballs. Extra paintballs, grenades and smoke bombs can be bought on the day. Nottingham hosts some of the biggest and best Paintball sites in the UK and each of them comes with a wide variety of game zones that make use of natural woodland, wooden barricades, bunkers, trenches, bridges, towers and burnt out vehicles.